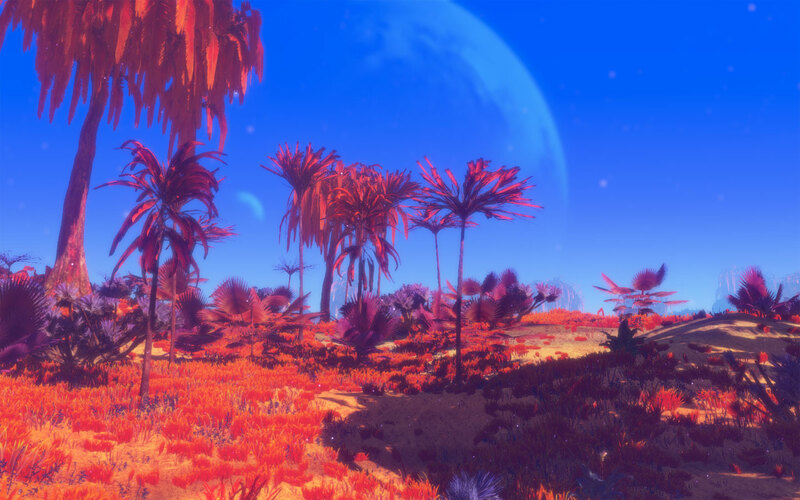 Want to get up to speed with current progress of Planet Nomads fast? Then read on! The number one topic today is a huge milestone for our terrain generation engine. 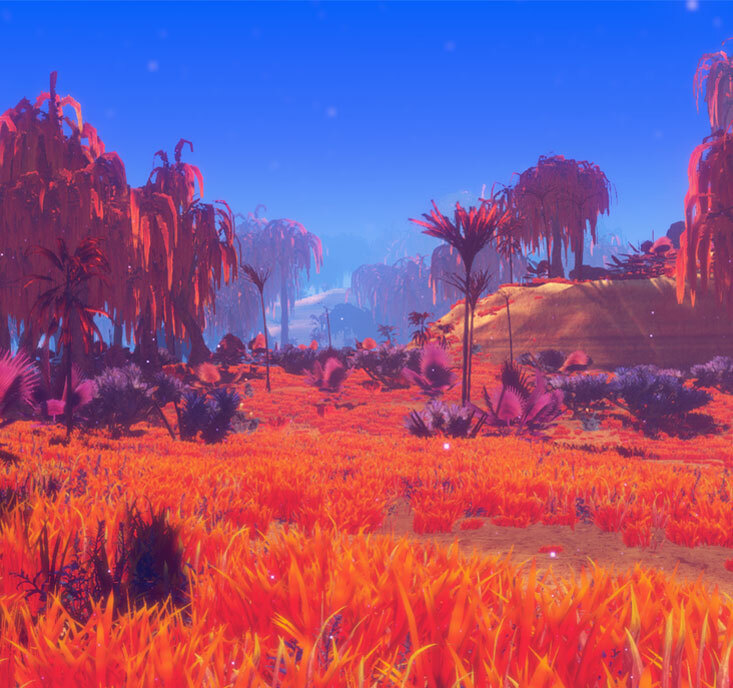 If you are following the development of our sandbox game closely, you will have noticed the differences between the beautiful pictures of how we imagined our biomes to look in the future and the results of our terrain generation engine, like that Earth-like forest or the time when we proudly presented our grass. That ends today! 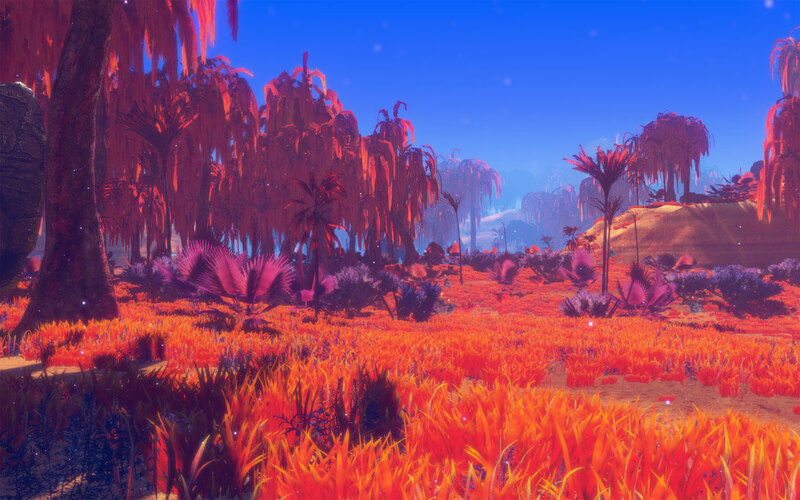 We are incredibly proud to announce that the technological side of Planet Nomads is catching up with our creative vision for the game. 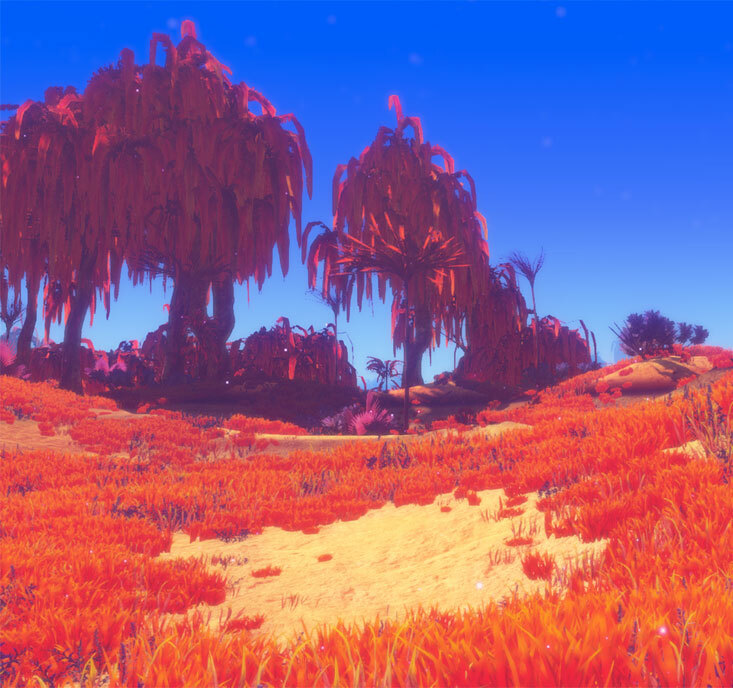 We have created a terrain engine that produces spectacularly looking environment that is completely procedurally generated. Every mountain, every pit in the ground, every slope and every corner has been created by the big power of mathematics. What we explained in one of our first blog posts is now a reality. 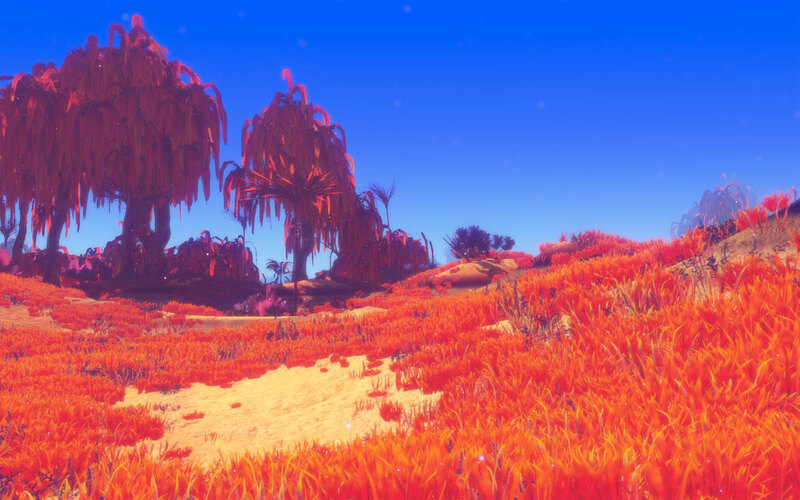 We've loaded one of our biomes inside the engine and can confirm it not only looks great, as you can see below, but also runs smoothly, generates fast and looking at the general performance, we're looking at planets with over 100,000 square kilometers big! This is a huge victory for us and a big milestone for Planet Nomads. It was obvious our engine needed a name and we decided to call it Sandy. Of course we still have a long way to go, but today's success takes us oh-so-many steps closer to our final goal. 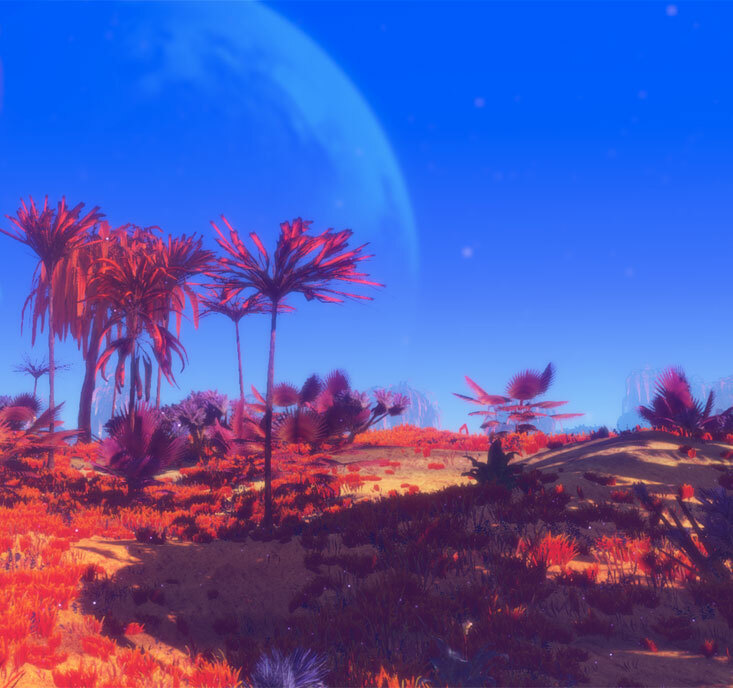 To create a sci-fi sandbox game for you that's going to blown your mind. That decision, to be blown away or not, rests solely on you but rest assured we intend to give it our all to achieve this goal.